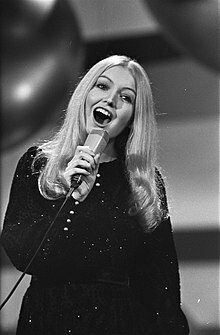 Is amhránaí Breatnach í Mary Hopkin. Rugadh í ar an 3 Bealtaine 1950. Tháinig sí sa dara háit sa Chomórtas Amhránaíochta na hEoraifíse 1970 leis an amhrán "Knock, Knock Who's There?". Tugadh an leathanach seo cothrom le dáta an 16 Lúnasa 2018 ag 13:08.